Perfect for chili, soup, or cereal! White/tan outside, with a mix of seafoam & red glazes in the center. 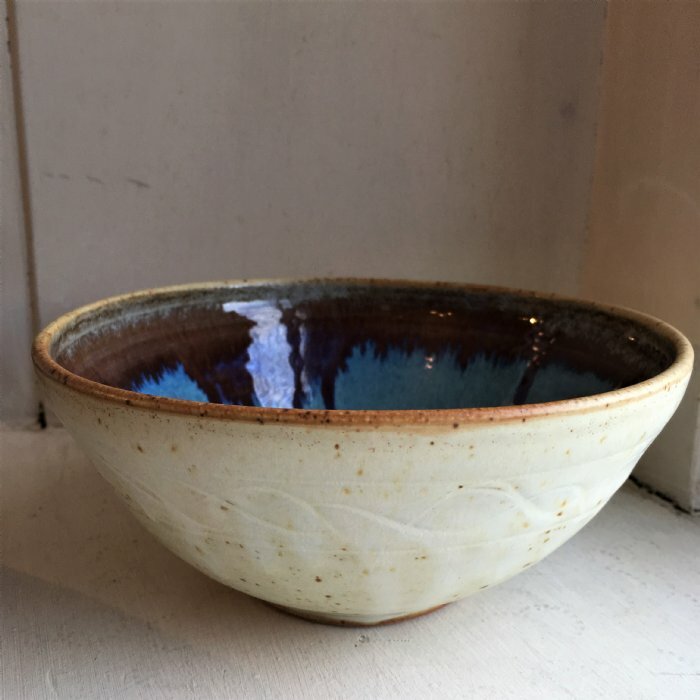 These durable, stoneware bowls are sure to give you many years of service and pleasure. 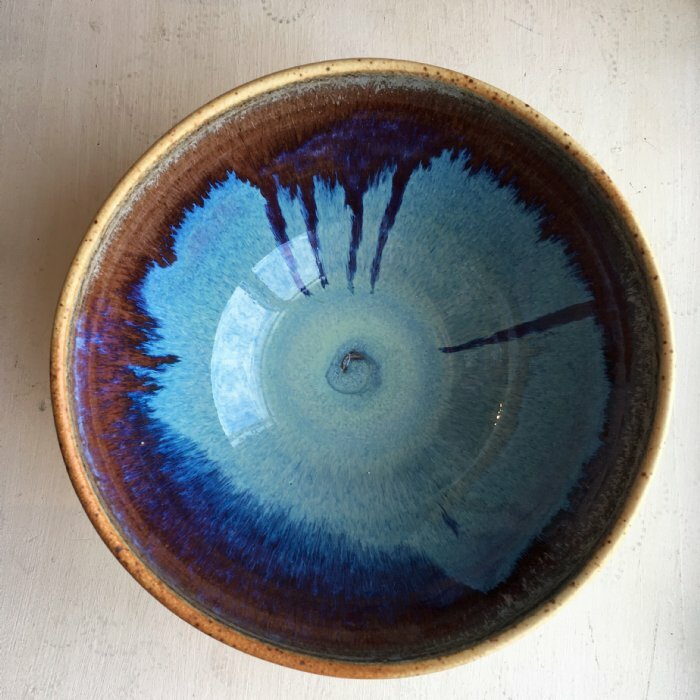 Each piece is wheel thrown, and truly unique. They are approximately 6-7" in diameter and 2-3" tall.